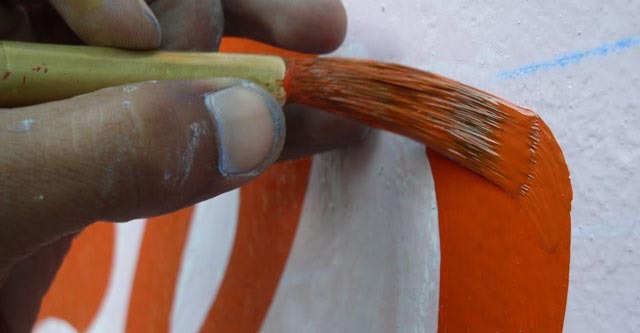 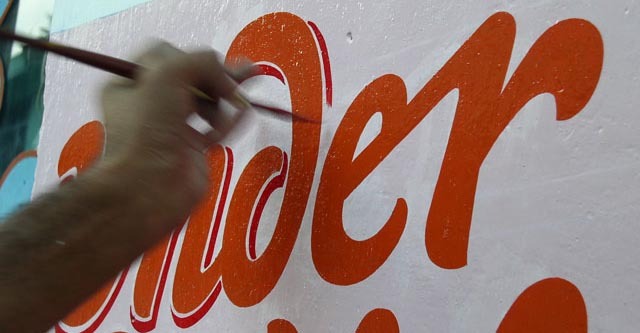 India is covered with hand painted signs; shop titles, highway advertisements, movie posters and even license plates on cars are done by hard boiled sign-painters. 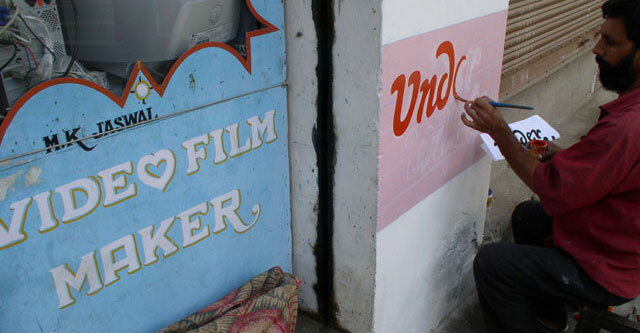 Manish Kumar, 33, came to the small village of Rewalsar, Himachal Pradesh, for a month to paint seven new signs for local shops. 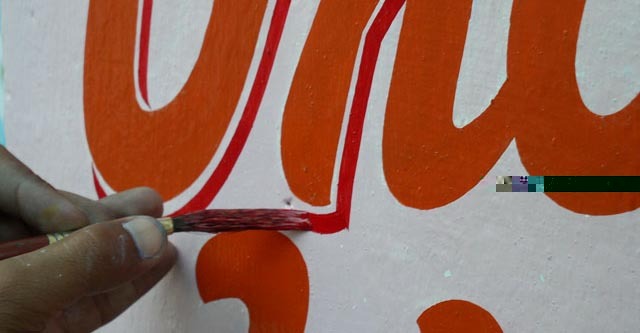 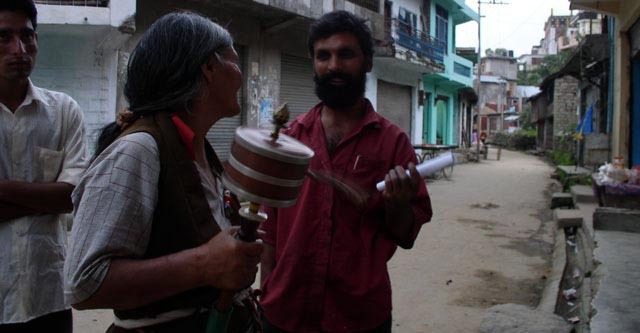 To work as a sign painter in northern India, one must be familiar with English, Hindi and Tibetan scripts. 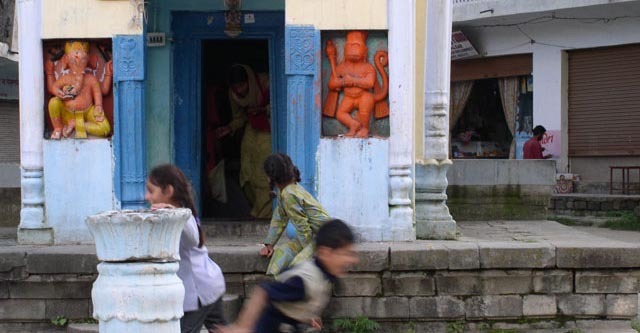 Manish is the second eldest brother of a family of four brothers and three sisters. 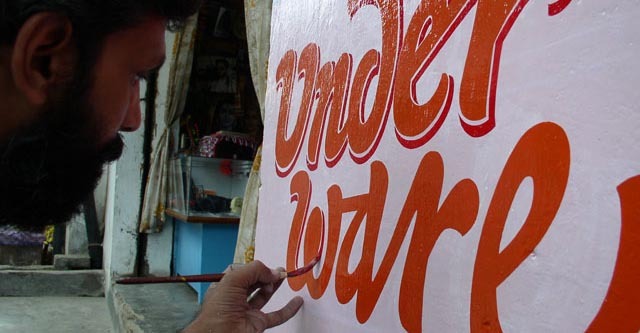 14 years ago his big brother taught him the basic lettering skills, likewise for the younger brothers, and later, for his own three sons. 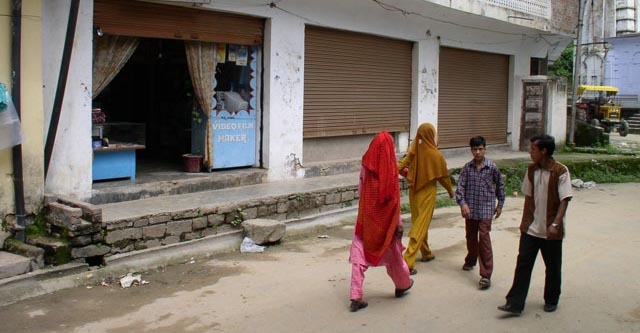 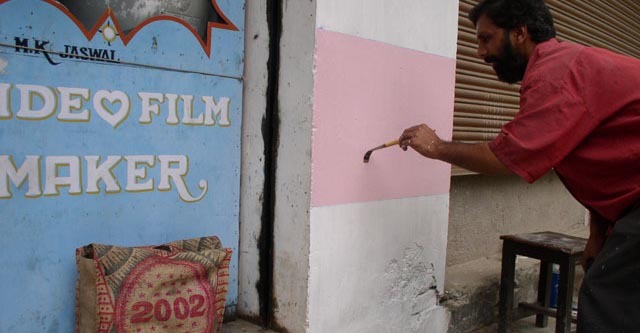 Currently, all seven men work for the family company, Artline Studio, at Mandi (a winding 24 km road down from Rewalsar), and are the best known sign painters in town. 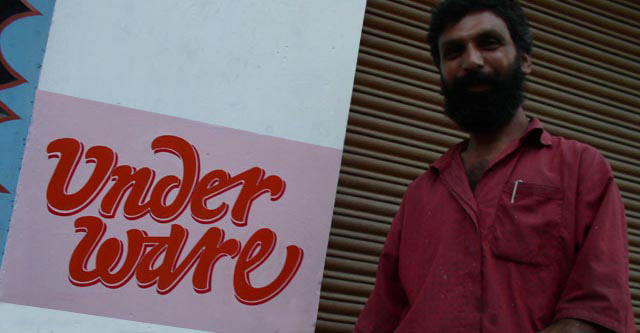 Manish himself has an 8-year old ‘baby’ and a 4-year old son. 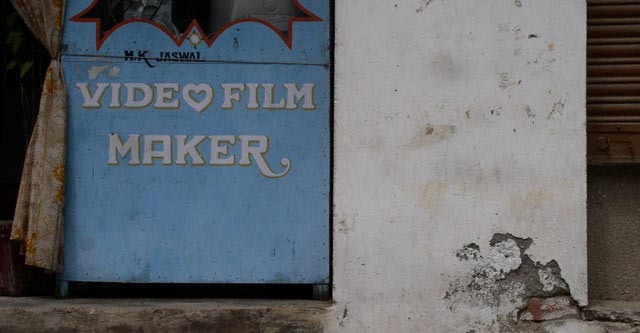 And a wife of course. 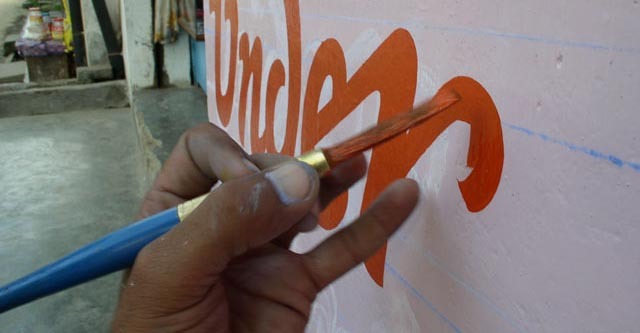 Sami was lucky to meet Manish while he was in the middle of lettering for a kiosk. 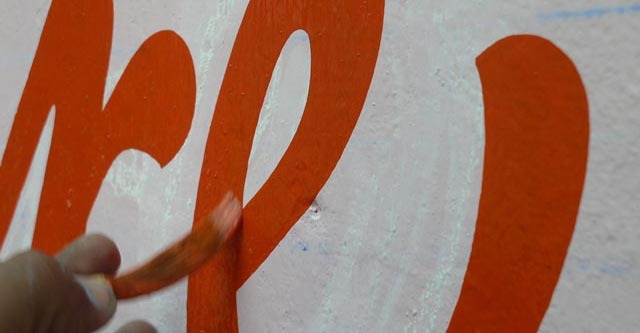 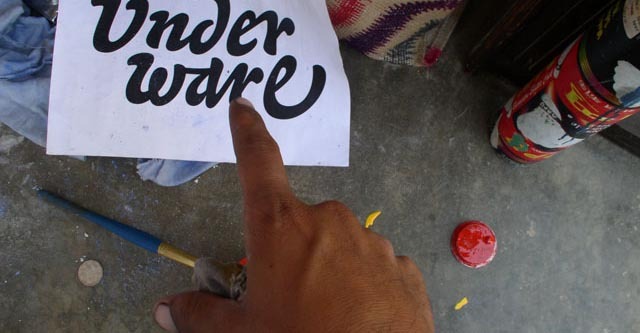 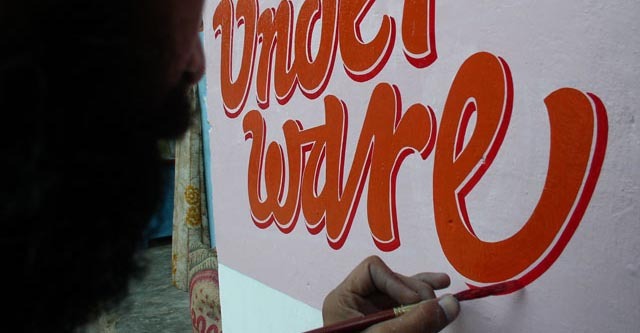 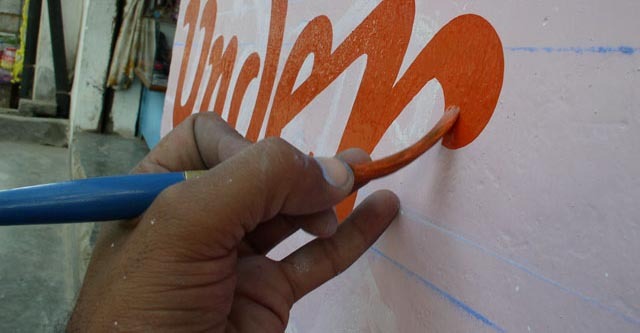 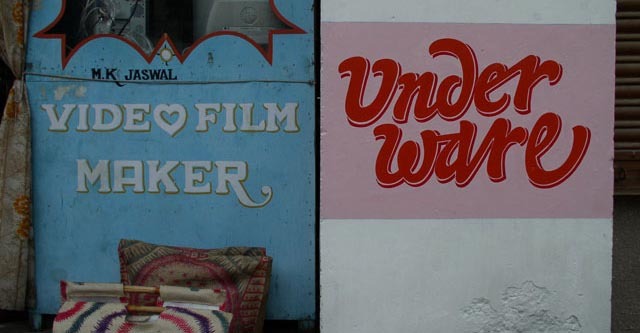 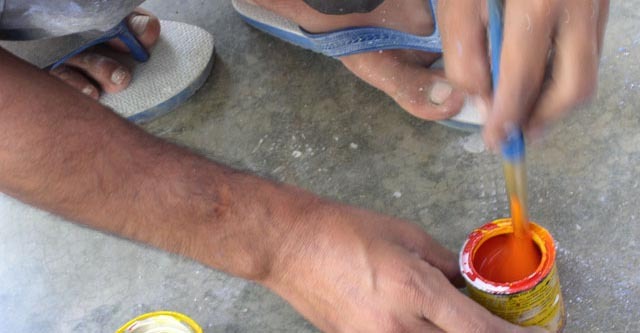 After a short discussion with the ‘video/film maker’, Manish found himself painting one more sign, for Underware. 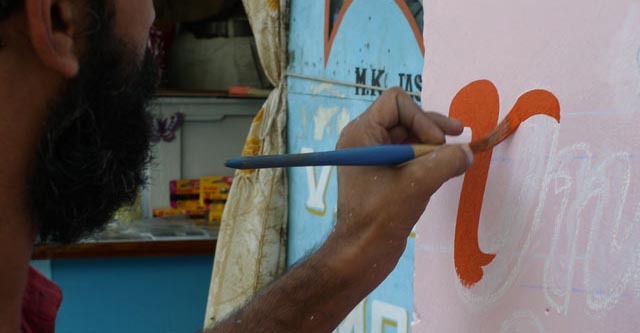 Thank you, Manish!